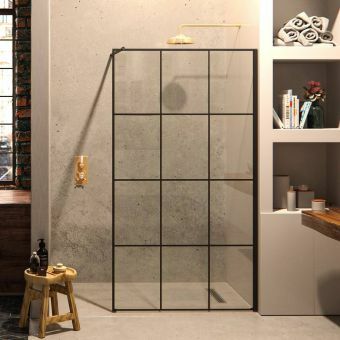 This modern curved shower screen has been crafted to create an elegant finish to any shower area and it's made with quality fittings and materials to ensure it’s maintainable and resilient. 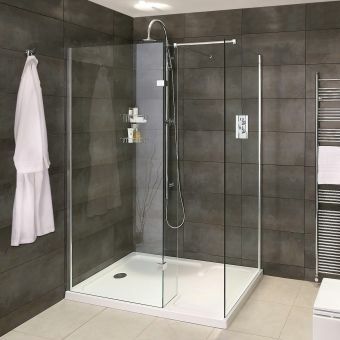 Produced with 8mm curved, toughened safety glass, it offers robust quality and luxury at an affordable price range. 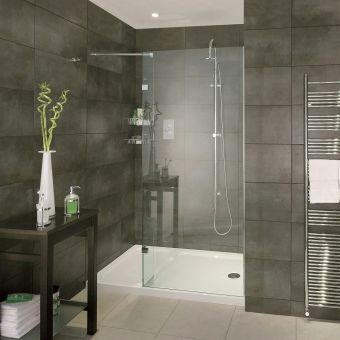 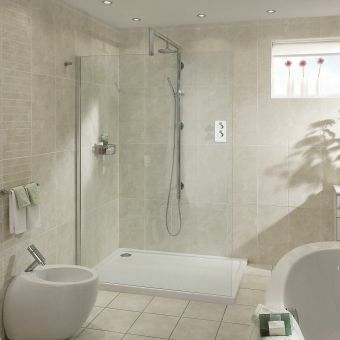 At two metres high, it’s perfect for any shower space and gives great coverage, guaranteeing fewer water leaks. It’s a fixed screen that includes a wall support arm and floor fixing clip, which gives added security and durability. 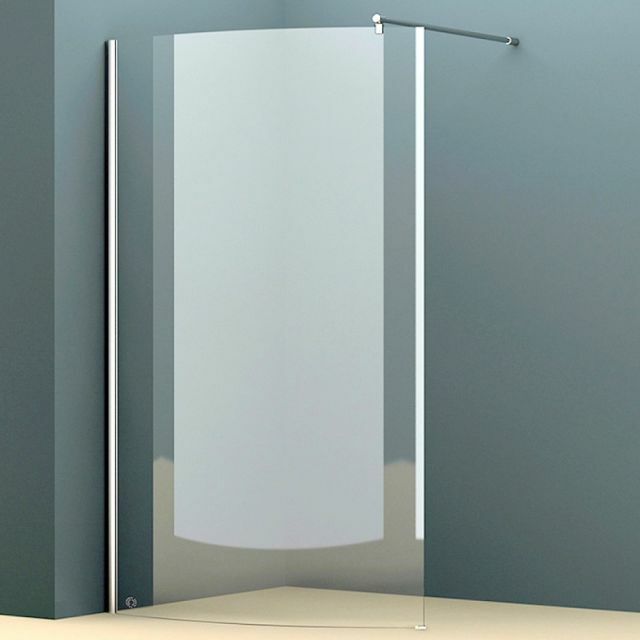 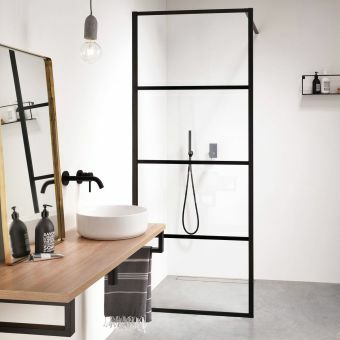 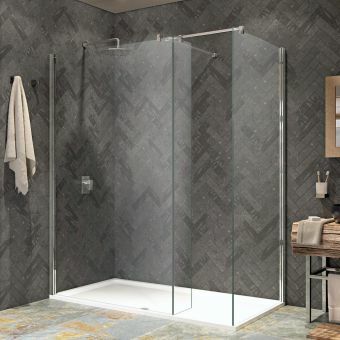 As with all their glass shower screens, this glass panel is treated with Easi-Clean glass coating technology, preserving and maintaining your showers sparkle for longer. 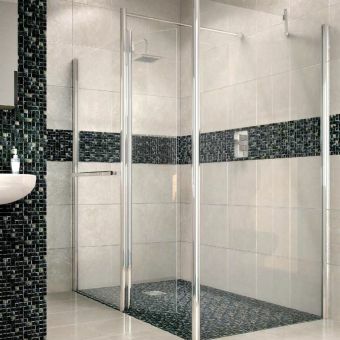 Easi-Clean shower screens maintain their cleanliness by diminishing water spots caused by limescale and mineral deposits. 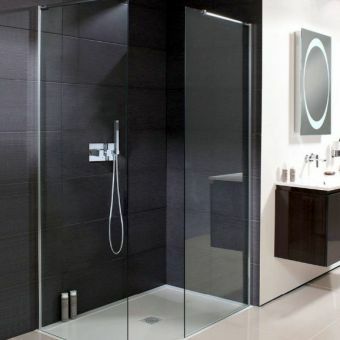 They will also stay cleaner for longer by drastically decreasing the growth of bacteria.